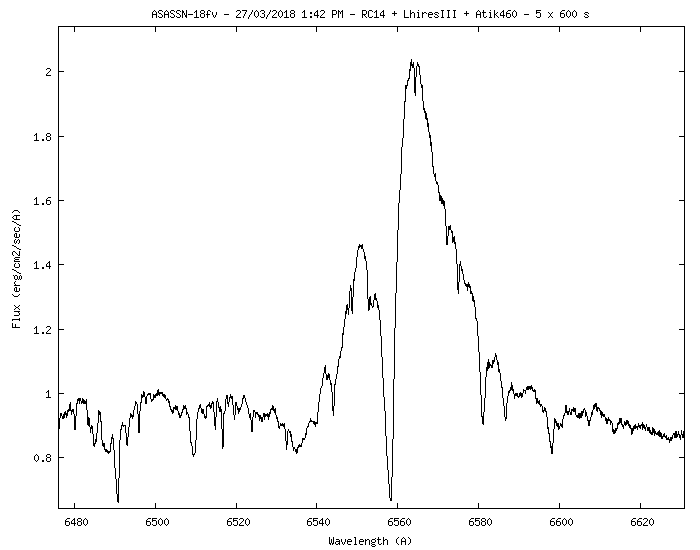 The very bright (and brightening) nova candidate in Carina confirmed as classical nova in the early evening of March 21st. Additional information can be found at ATel #11460. 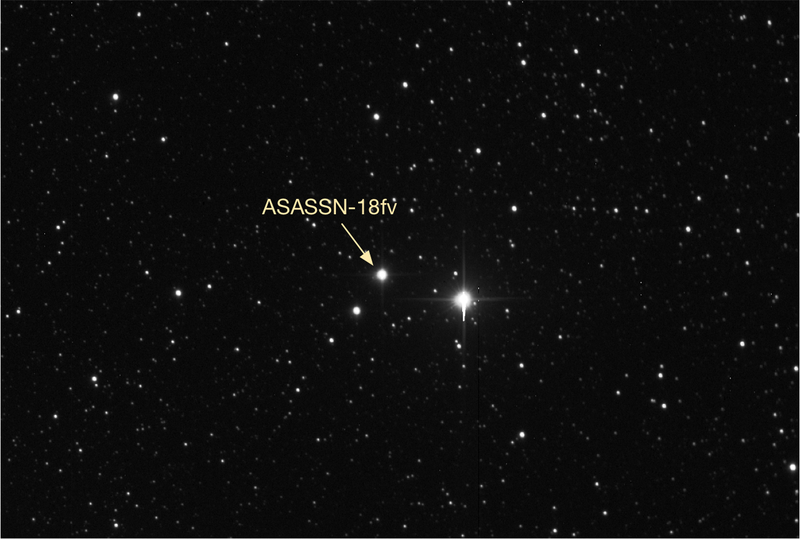 ASASSN-18fv, 10 x 4s images (clear filter). 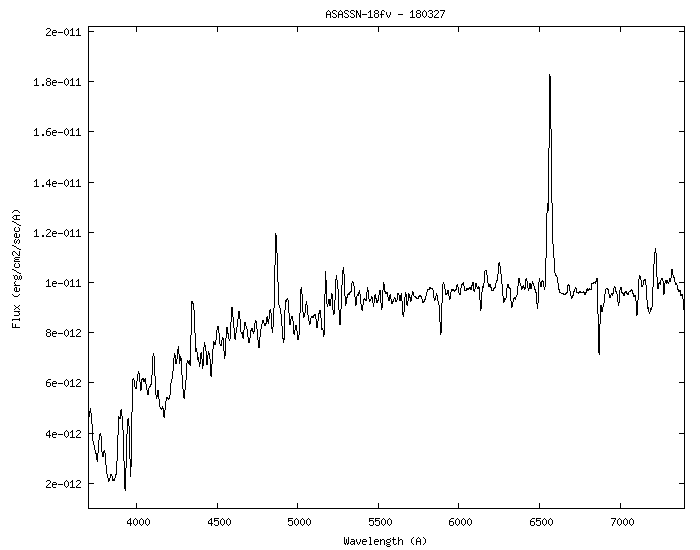 Additional spectra, including a high resolution (R ~ 16,000) spectrum centred on H-alpha. 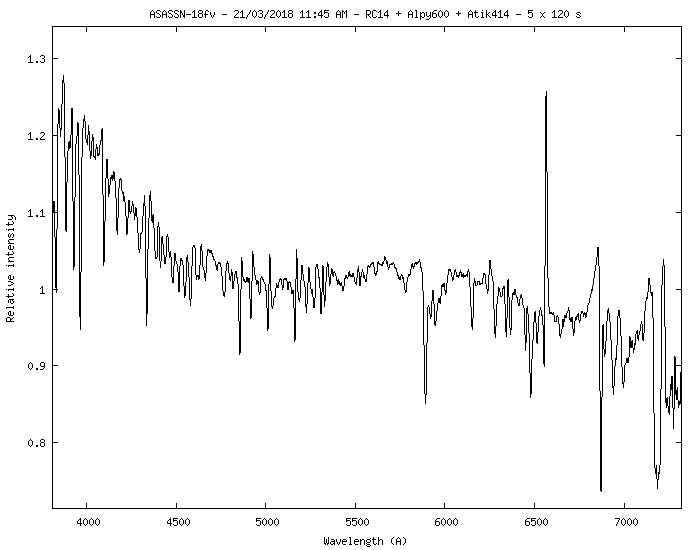 Measured magnitudes B=7.4, V=6.5 from photometry taken on the same night. 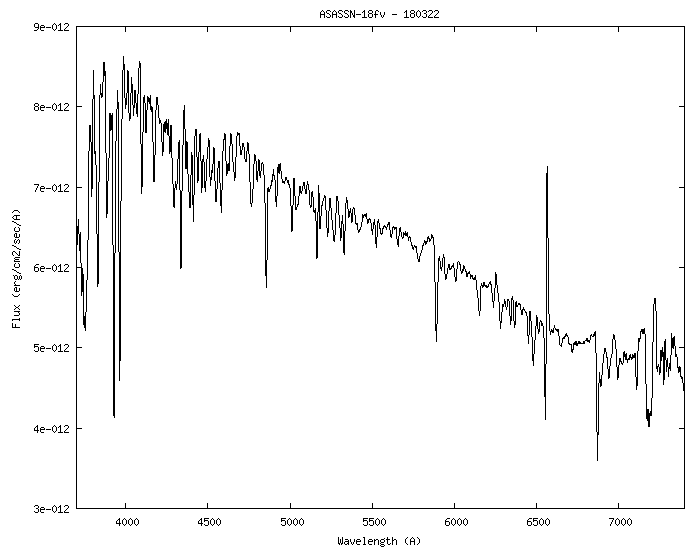 This entry was posted in Spectroscopy. Bookmark the permalink.